Prize-winning pieces in the Animation Division of Japan Media Arts Festival (JMAF) are screened at auditorium and theatres in the exhibition at The National Art Center, Tokyo. 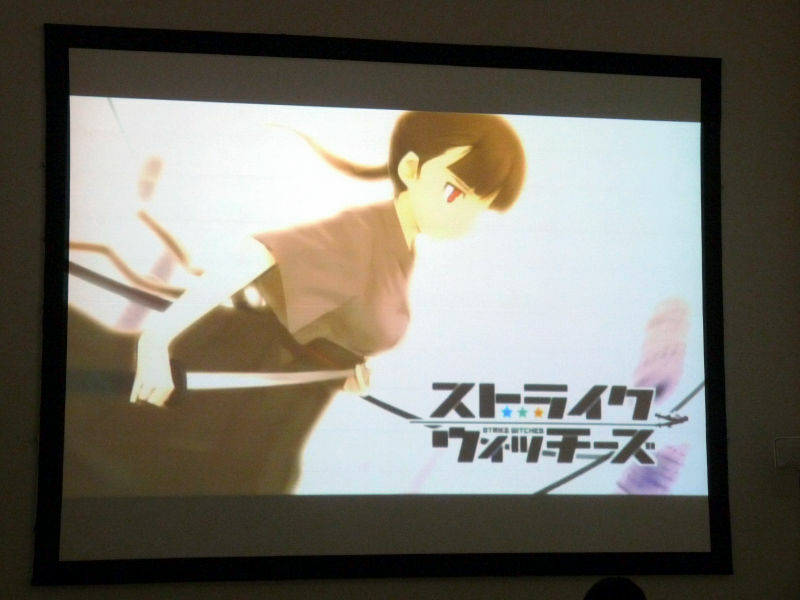 The screening includes both artsy animation film like the award-winning "Tsumiki-no-Ie", and popular animes such as "Kaiba", "Kara no Kyokai -Fukan Fuukei", "Strike Witches" and "The Sky Crawler". Read on for full report with pics. There are three screens (main theatre, mini theatre, auditorium) showing the animations. 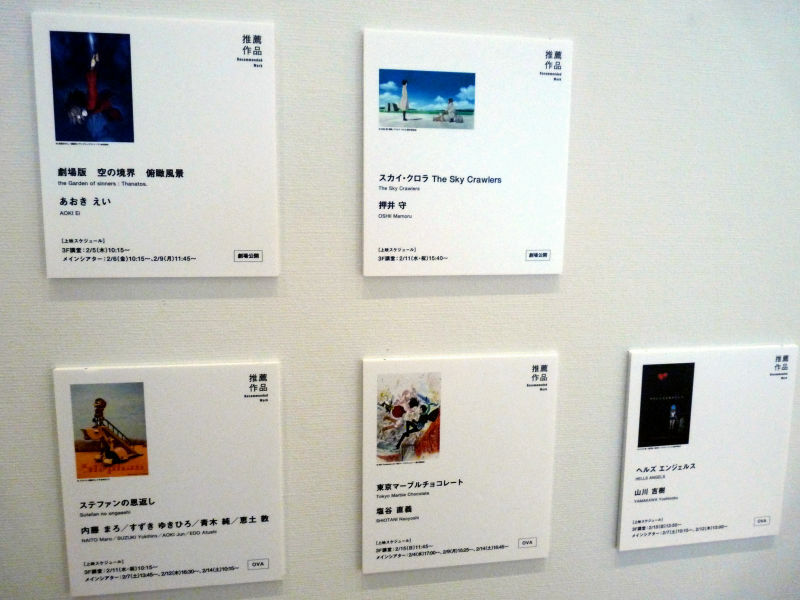 Details and materials of the works are displayed, too. 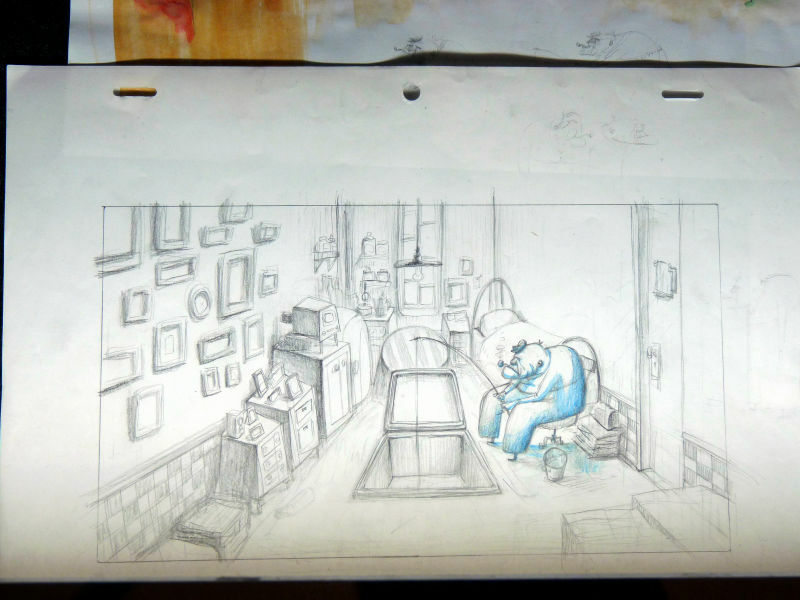 The Oscar nominee "Tsumiki-no-Ie(La Maison en Petits Cubes)" by Kunio Kato was awarded the Grand Prize for Animation Division at JMAF. 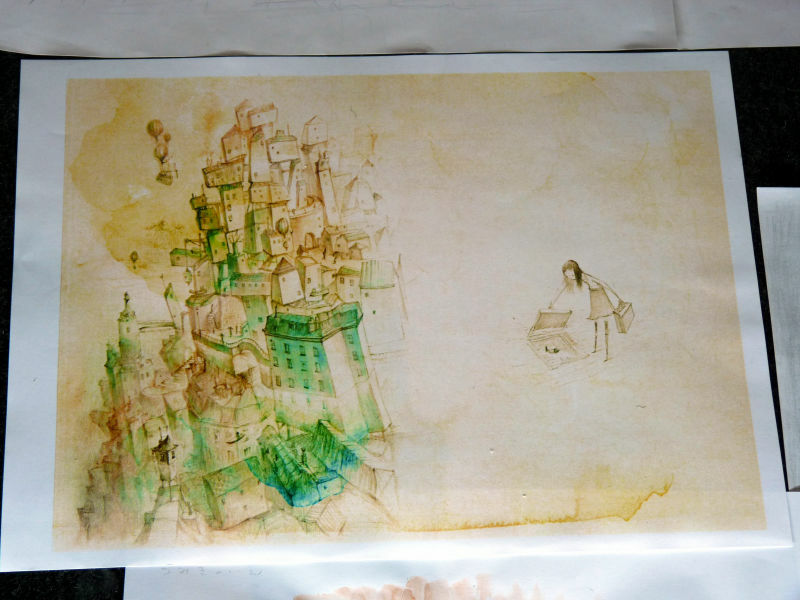 An old man drops his tobacco pipe from his room on the top of his house in a world gradually flooding with water. 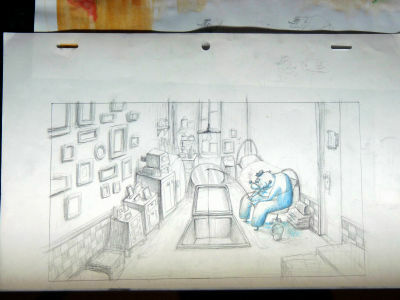 He goes down to the flooded rooms below and reencounters his late wife and daughter, fond memories and things he left behind. "Kaiba" by Masaaki Yuasa, "DREAMS" by Chie Arai, "KUDAN" by Taku Kimura and "Kodomo no Keijijogaku (A Child's Metaphysics)" by Koji Yamamura received the Excellence Prize for animation. 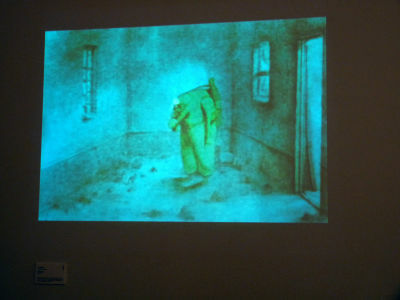 The Encouragement Prize went to "Algol" by Noriaki Okamoto. 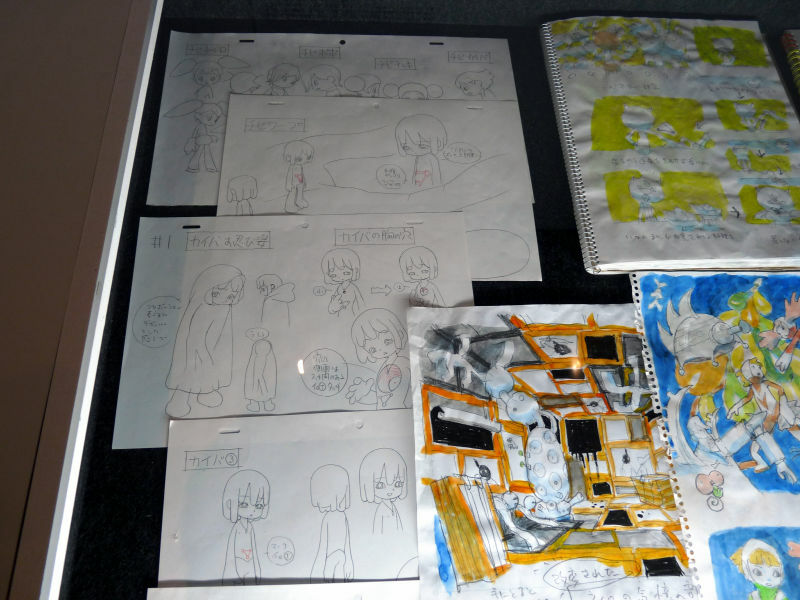 Illustrations and character design drawings were exhibited. 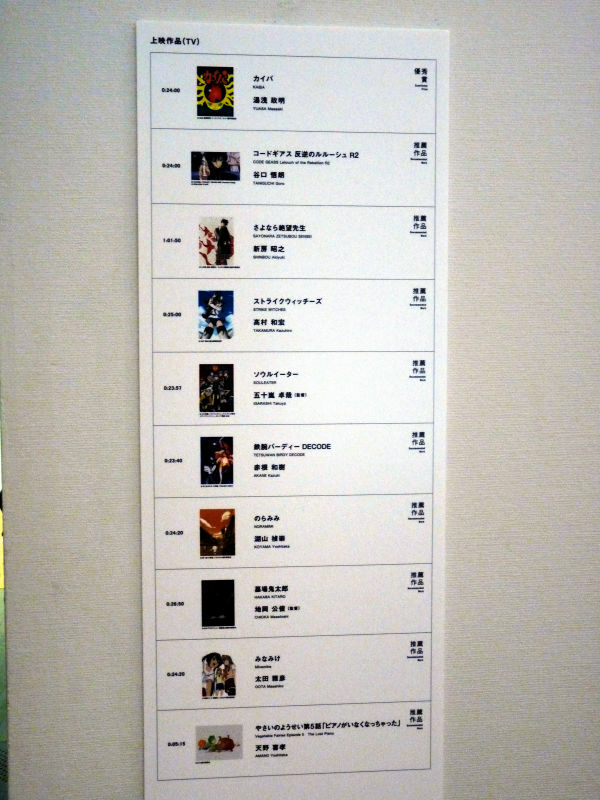 Recommended animes picked up from the nominees are also screened. "Kara no Kyokai -Fukan Fuukei (The Garden of Sinners Movie 1: Overlooking View)", "The Sky Crawlers", "Stephan no Ongaeshi(Showing Gratitude in Stephan's Way)", "Tokyo Marble Chocolate", "Hell's Angels" and "Kaiba" are scheduled at the Main Theatre. "Code Geass -Lulouch of the rebellion", "Sayonara Zetsbou Sensei (Farewell, Mr. 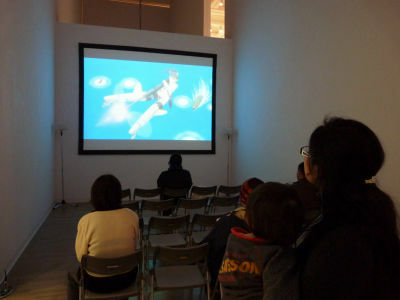 Despair)", "Strike Witches", "Soul Eater", "Tetsuwan Birdy: Decode", "Noramimi", "Hakaba Kitaro (Graveyard Kitaro)", "Minamike (The Minamis)" and "Yasai no Yousei (Vegetable Fairies)" are screened at the Mini Theatre. We catched "Birth of Kitaro", the first episode of Hakaba Kitaro. 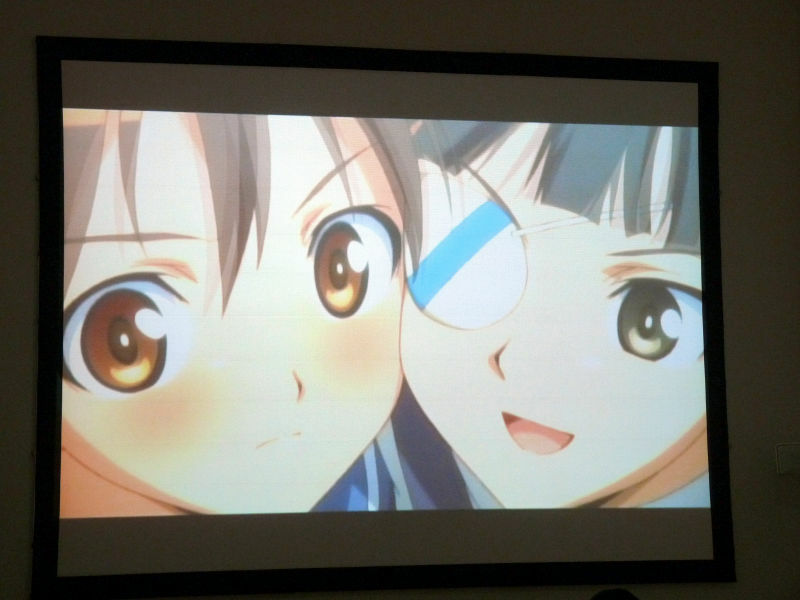 "Watashi ni dekiru koto (Things I can do)", the second episode of Strike Witches. 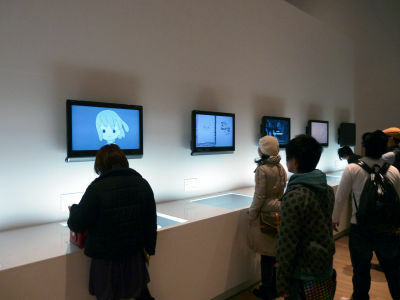 The exhibition is held until Feb. 15th at The National Art Center, Tokyo at Roppongi. 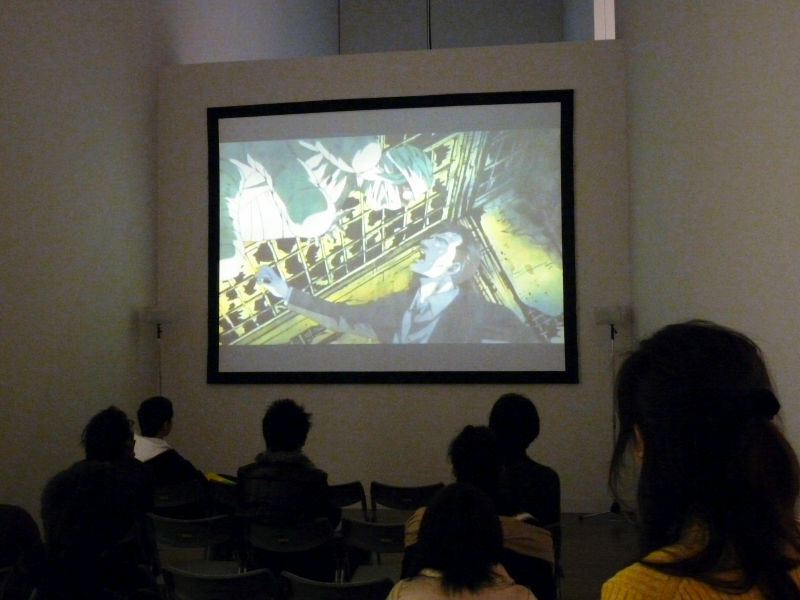 It's a great opportunity to watch your favorite animes on big screen, and for free!